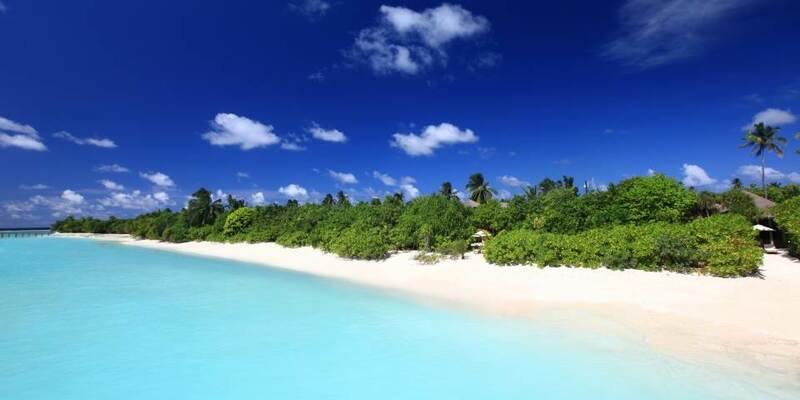 A 35 minute flight from the international airport at Male, followed by a short speedboat journey, allows guests to experience a birds eye view of the beautiful Maldives archipelago to where, deep in the Indian Ocean, Six Senses Laamu sits in splendid isolation; the only resort in this southern atoll. 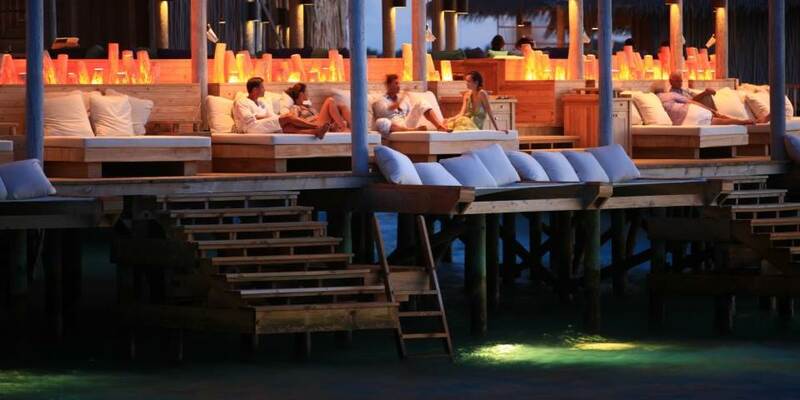 Most of the 6 bars and restaurants are set over the water, allowing sea breezes to waft gently through. At Leaf, the signature restaurant perched high over the organic garden, the chefs work in harmony with local farmers and fisherman to source local ingredients. Longitude is an open air two storey dining space serving a bountiful breakfast and an international a la carte dinner menu. Zen, the unique overwater dining area offers a modern twist on a traditional menu including the finest sushi and sashimi. Add to these Altitude; a spun glass wine tower with a deli serving charcuterie and cheeses, Ice & Chocolate Studio for 40 plus ice cream flavours or delicious chocolate truffles and Chill Bar & Lounge where there is a magic mix of cocktails and sunsets. The crystal clear waters around the resort make the snorkelling and diving experience one of the best in the Maldives, with pristine hard coral gardens teeming with exotic fish. Serious divers shouldn’t miss the chance to do a night dive when some fish sleep while others come out to hunt. Laamu is also one of the prime surfing spots in the Maldives with the highest swells likely from June to October when the most famous break in the atoll- the Ying Yang can be seen from the resort. There is so much to experience from a barbeque dinner on the sandbank or romantic dinner on a desert island to a sunset cruise on a private boat, glass of bubbly in hand, watching the sunset while dolphins cavort in the surrounding sea. Take a journey and experience much that the Maldives has to offer, meet with the locals and get an impression of their culture and everyday life. Little guests will love The Den, with sunshine and sand they have the choice of indoor and outdoor games, including football and badminton, with older ones who can swim able to snorkel or windsurf. At the Six Senses Spa the therapists use a synergy of products and treatments that will rejuvenate both body and soul with journeys designed to go through the spectrum of enlightening all five senses to the perfectly balanced sixth sense. End the day with another truly epic experience, relax on a sunbed under the stars and get ready to watch a blockbuster film, complete with popcorn, the state of the art surround sound system gives a real multiplex feel. 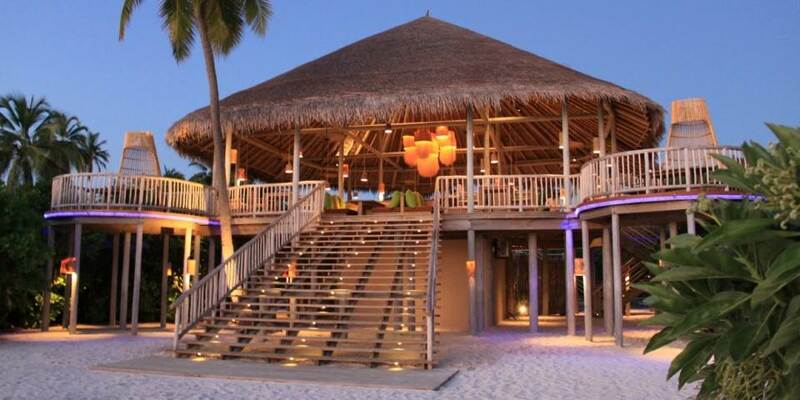 Six Senses Laamu is one of the Maldives trendiest resorts. The 97 villasare either set over the crystal clear waters or on the white powder sand of the beach. Weathered timber jetties lead to the overwater havens each of which is secluded by a high bamboo enclosure. 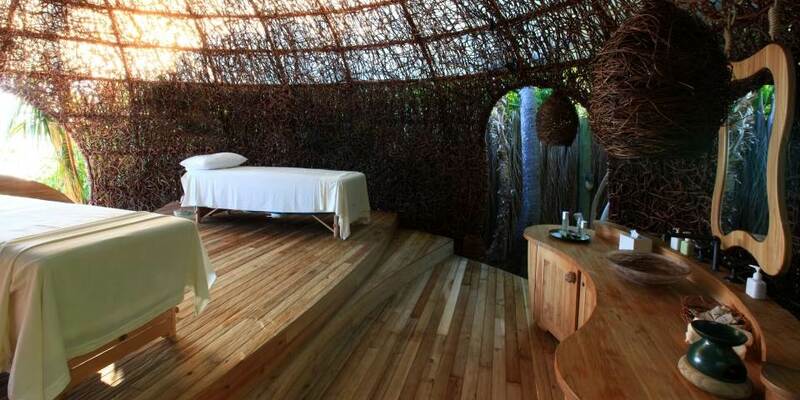 Some overlook the lagoon while others have ocean views. Inside the ceilings are high, water views are optimized, bathrooms have an open air shower and all glass bathtub in which to soak. 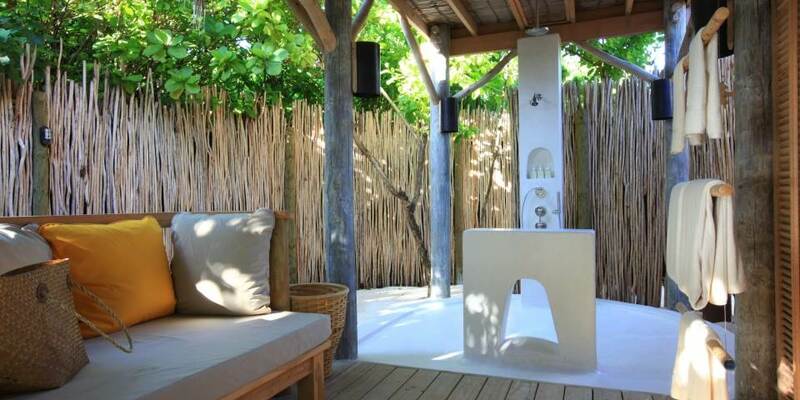 Outside is made for relaxation with daybeds and overwater netting hammock. 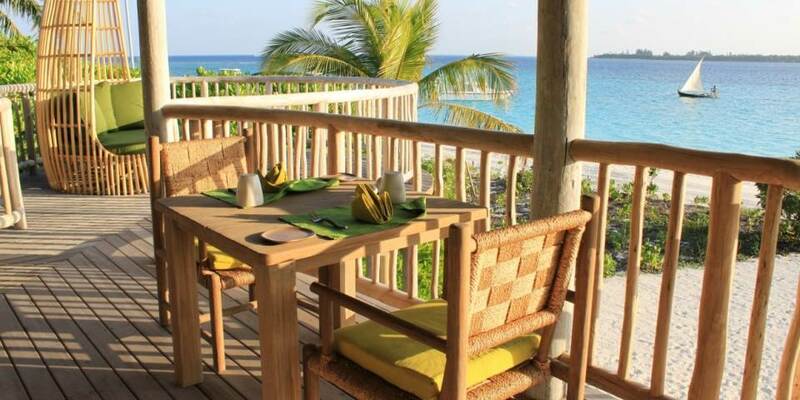 The upper deck has panoramic views of the seascape and equatorial sunset. 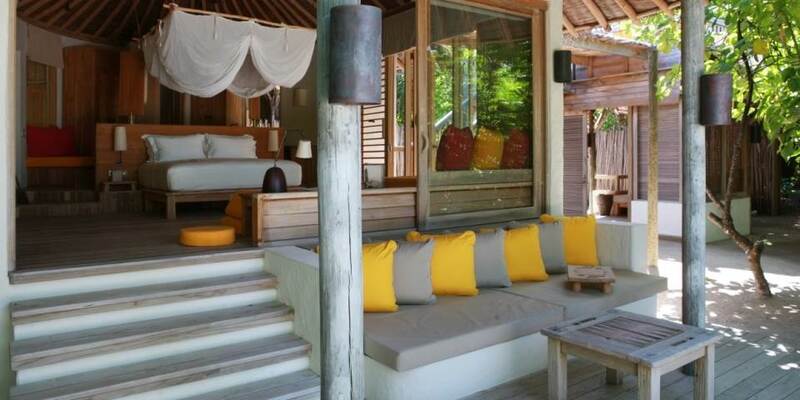 Beach villas are surrounded by lush forest which affords the utmost privacy with loungers set between the sea and the retreat; these too have open air bathrooms and upper decks which give views over the forest to the sea beyond. 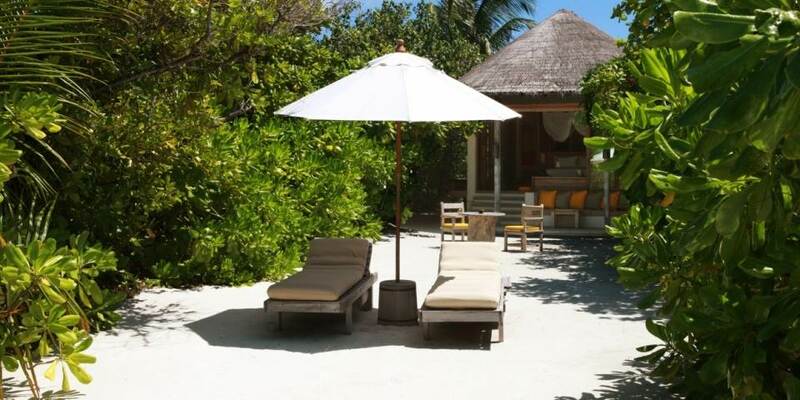 The 2 bedroom Lagoon Beach Villa is the ultimate island life style, complete with its own private pool it is perfect for families or couples travelling together.